We recently have a visitor from Pakistan to buy some of our products. To show our appreciation for a successful business, we treated him for a short trip down Tagaytay. Yesterday, the weather was nice and sunny and so we decided to bring him in Tagaytay. We had lunch at Dencios choosing all the seafood that the restaurant can offer. He only eats Halal food and we were not sure whether Tagaytay has a restaurant that serves Halal. So to be safe, we just ordered seafood. 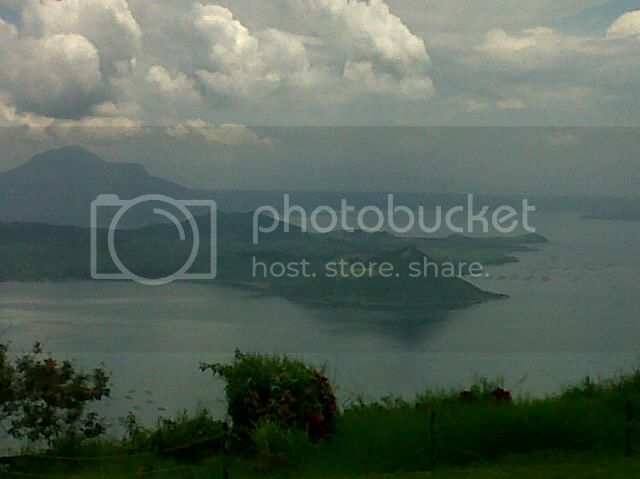 As the weather was on us - we had a few photos taken with the Tagaytay lake, and Tagaytay Volcano in the background. Though it was sunny, the weather is just perfect! Not so hot, and not so cold. Its cool! Its perfect! Just my kind of weather. But I am sure at night, it will be cooler and relaxing in outdoor fire places would just be right!